In Confidence is much more than a simple paper shredding company. We offer four unique services that combine to create a comprehensive document destruction and information security service in Melbourne. As well as destroying and disposing of paper documents, we also offer e-waste recycling, office cleanouts, and a whole range of product destruction services. Our process ensures convenience and peace of mind for your company. For one thing, we come directly to you to pick up documents or other items destined for destruction. That means you don’t have to rely on the mail system or couriers. Not only is this more cost-effective, it’s also more secure. Our vehicles are secure and our highly trained drivers have federal police checks, so your documents will be well protected. In Confidence has its own industrial shredding facility. This means that we can work much faster than any in-house shredding operation – processing up to 6 tonnes every hour. Our facility is fully alarmed and covered with CCTV cameras for extra security. Once the shredding process is complete, we recycle absolutely everything that can be recycled and issue a Certificate of Destruction for your records. Destroying paper documents is an important way to protect your business, your employees and yourself. While many people think an office shredder is adequate, this really isn’t the case. 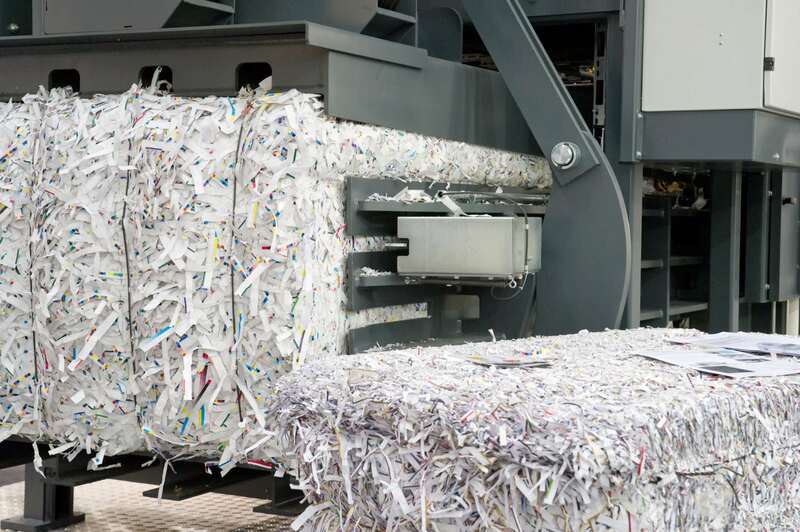 Documents shredded in-house have been stolen from the trash and pieced together by criminals for years, and there is nothing to stop this happening to your company. But when you choose In Confidence, we guarantee security. We never outsource shredding to other companies, even those we trust – we do everything in our secure facilities with our own staff so we can guarantee secure document destruction. The industrial shredders in our Melbourne facility go far beyond what an office shredder can do, obliterating your documents beyond recovery. Destroyed documents are sent straight to recycling so there is no point at which someone could even attempt to extract information. It isn’t simply documents that require secure disposal. We offer destruction services for a whole range of products including electronics, consumer products, office products, uniforms, ID badges and passes, marketing materials, faulty products, damaged goods, production run-ons, prototypes, product samples, CDs and DVDs, and seized counterfeit products such as imitation clothing, handbags and accessories. Products like these can cause problems for your company in a number of ways. ID badges and uniforms with names printed on them threaten your employees’ privacy. Faulty products could be stolen from the trash and sold or used illegally, potentially causing legal problems for your company. Private marketing materials that aren’t destroyed properly could open you up to corporate espionage. These days, many documents are stored electronically on hard drives, computers, or even phones. You might be surprised to learn that even a wiped hard drive or computer still contains information that can be retrieved by a tech-savvy thief. This means it isn’t enough to just erase these and throw them out. You need them to be properly disposed of and, when it comes to hard drives, only complete physical destruction will really work. At In Confidence, our process is extremely thorough. Once we are done with it, your e-waste will be reduced to particles of 3mm or less, and the chance of information retrieval to zero. Don’t take the risk with your sensitive information, trust the experts at In Confidence in Melbourne to securely destroy your documents, products and e-waste. Contact us online!